Why pursue graduate studies in engineering? A graduate degree -- particularly a Ph.D. -- is a major undertaking, a tremendous investment of time and resources, of both the student and others (advisor, college, funding sources, etc.). In making the decision if and how to pursue a degree, it is essential to keep the right objectives in clear view. A typical bachelor's program leaves the student with a reasonable technical background in a relatively broad field. This knowledge is absorbed from well-systematized instruction: venerated textbooks, organized classes, closed-ended projects, and the like. The student is ready to apply this knowledge, but not necessarily to connect the less-connected points of current research. The M.S. degree program is about developing these basic research skills&mdash;the ability to tap into technical papers with understanding, but still within a relatively structured environment. A well-prepared M.S. graduate is ready to identify good, existing solutions from research and implement them in a particular context. The Ph.D. is not simply more of the same. The Ph.D. requires a solid understanding of related work, but it goes well beyond M.S.-level study to demand that the candidate be able to apply knowledge to a new, unsolved problem. This requires systematizing and distilling previous work, taking the essence of solutions to different problems to find insight into the one to be solved. It calls for constant evaluation of proposed solutions against a broad field of alternatives and leads to publications that fundamentally advance the community's approach to problems. These things are learned only through experiencing them, and this process is hard work. The most important thing about the Ph.D. is that the process of getting one (prelimiary examination, publications, final examination, and finally thesis deposit, hooray!) is but the means and not the end. The worst error that can befall a Ph.D. student is that of simply going through the motions, plodding toward graduation in the world's most arduous cakewalk (and it is arduous!). No, the Ph.D. is about developing as a person, as a strong technical and personal leader. Our purpose is to mold professionals who are true leaders, mentors, teachers and innovators. Yes, one way or another, there will be all these steps of the process, but the student's aspiration to learn how to be all these things, and to learn by doing , makes the real difference. We believe the ideal graduate experience must emphasize and balance both learning and teaching. While at first sight this statement seems obvious — even perhaps trite — we feel it necessary to explain our philosophy of graduate education. Graduate school is as much about teaching as about learning, and by this we do not necessarily mean teaching in a classroom. Working productively with colleagues, both junior and senior, both locally and throughout the community, is part teaching and part learning. Within our strongly collaborative group, students' research projects are designed to interface, so that students are experts in adjoining areas. This creates an environment for both individual development and knowledge sharing. We find that often we learn best through teaching each other. Any IMPACT graduate will tell you that much of his or her time was spent working together with other group members, wrestling with technical issues or trying to find effective ways of communicating a unique contribution. Working as a team, we accomplish far more (and enjoy the process more) than we could working severally. Publishing is all about teaching. Everyone recognizes that publications are important steps toward graduation, and that learning to write them successfully is a key part of graduate school, especially for Ph.D. students. At the same time, their raison d'etre, their reason for being, is to teach the community. We are part of a University, after all. Our group strongly emphasizes the teaching aspect of publication. To be useful and worth our students' time, papers must significantly advance (or explain in a novel way) the state of the art and be accessible to the community. Solid, influential papers are time-consuming but worthy of our attention. The thesis, or dissertation, also emphasizes teaching, the culmination of years of research in a product worthy of the community's reading. Members of the group choose their thesis topics in consultation with their advisor and their peers, many of whom will be working on related topics. Each will have an individual area to refine and, eventually, to teach through publications and the dissertation. IMPACT theses are frequently referred to and referenced as others use our compiler infrastructure to advance their own research. Members can expect to invest substantial time refining a thesis of which they can be justifiably proud. We hope in this brief statement to have explained our view of the balanced professional development that should occur in a graduate program, and to have shown how the IMPACT group is structured to provide an ideal environment for this growth. That these abilities to learn and to teach are treasured especially in academia but also in the industrial workplace has been borne out in the hiring track record of our graduates. How do our students develop? Technical base: Of course, the most obvious lessons are those implied by the Electrical Engineering or Computer Science graduate degree&mdash;what might be called a solid technical core. The IMPACT experience, however, provides a different core than a typical undergraduate or graduate program. Most IMPACT projects involve the nexus between software and hardware, including compilers, run-time software support, and the operating system&mdash;where the rubber hits the road, so to speak. An understanding of this problem is our technical core and is highly valued in industry and academia. As the fundamental design of high-performance computing systems changes in the next decade, understanding of the software-hardware interface will be crucial. Problem solving: The Ph.D. is often viewed as an exhaustive accumulation of knowledge on a single, narrow topic. We would suggest that this is only an incidental and not the fundamental characteristic. For us, the Ph.D. is about developing the ability to grapple successfully with significant problems&mdash;about finding and honing the investigatory, deductive, and inductive tools that distinguish great problem-solvers from mere implementers. IMPACT's large, collaborative projects and extensive infrastructure foster the ability to take such a comprehensive approach to problems. The IMPACT experience integrates tasks such as: designing analyses and transformations in the compiler, adding software-controlled architectural features in the hardware, reasoning through performance results with both software and hardware varying in meaningful ways, and enhancing and debugging vast compiler and simulation tools. This is the way the group gets work done, and the way that the group shapes true thinkers. Communication skills: Working in a large group with students from a variety of backgrounds builds workplace communication skills. Local peer review of publications builds paper quality, increases acceptance rates, and improves writing and reasoning skill. Often we find we achieve the best understanding of a problem in explaining it to another. Professional growth and ethics: In the group dynamic, students are responsible not only to advisor and to instructors, but to each other in their daily activities. This provides great practical experience for the workplace. As students mature in technical knowledge and stature, they have the opportunity to help mentor younger students — the best preparation for an academic career or a position of technical leadership in the corporate world. We encourage students to collaborate with others outside the group. Diversity of opinion and experience is important for the group and for individuals. Our students typically have one or more opportunities for internships with companies like Intel, HP, IBM, nVidia, Microsoft, Sun, and AMD. Furthermore, here at Illinois, we have a solid and growing core of architecture faculty in the ECE and CS departments. Our group also has productive partnerships built around both shared research goals and infrastructure with, among others, groups at the University of California at Berkeley, Princeton, the University of Michigan, and Colorado University. IMPACT students will have the opportunity to work closely, not only with their own advisor, but with these other professors and their groups. The group accepts strong students in both the Electrical and Computer Engineering and Computer Science programs. IMPACT's work involves a broad technical skill set, spanning both computer architecture and software engineering. Work with C/C++ and scripting, and with large software environments in general, is helpful. Candidates who have worked on projects bigger than class projects and particularly those who have experience working in development teams are particularly strong. Compiler experience, though hard to acquire in most undergraduate curricula, is very helpful. If you want to work with our group, seek out opportunities for these kind of experiences. While not absolutely necessary, they help ensure that you will be able to hit the ground running. IMPACT projects tend to be large and highly collaborative. While each group member has a unique thesis topic within which to demonstrate and develop individual skills, multiple theses typically interface to achieve a greater goal. This helps the group attack very large problems with a reasonable degree of success and provides a ready peer group for support and motivation of each student's work. It is thus essential that candidates are able to interact productively and pleasantly with their peers. Strong communication skills (written and spoken word) are a tremendous asset. Because of the large, collaborative nature of our projects and the amount of infrastructure involved, we find that most group members are reaching their peak productivity about the time they deposit their master's theses. For this reason we tend to recruit mostly those students who are starting their M.S. program and who intend to stay for a Ph.D. Most of our M.S. 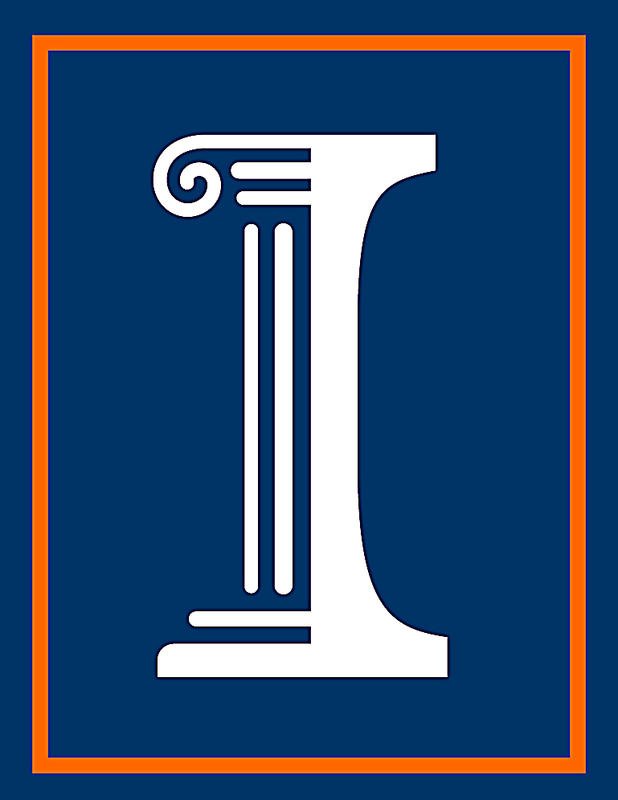 graduates were Illinois students who worked with the group during their undergraduate careers to get a head start. Finally, applicants should be aware of the course requirements and qualifying examination policies (for Ph.D.) of their respective departments. (See the links below for these policies.) Being a strong student in your coursework is as important as it is in a high-caliber undergraduate institution; time management skills are even more critical, as you will also have research to attend to outside of class. Keep in mind that being part of a strong group can be a great help in courses and the qualifying exam. If you are starting a graduate career and are considering applying to our group, we are thankful that you have taken the time to consider our comments. The criteria we have laid out here are all to some degree important (don't be afraid, for example, of our compiler focus; few of us worked on one in undergraduate work), but the one ultimate criterion is the sincere desire to develop personally in the ways we've attempted to describe here. A graduate career in IMPACT is a serious bilateral investment, and we owe it to each other to be forthright about what we believe makes a worthy Ph.D. If you are interested in joining with the like-minded students in our group to strive for great things and to make great researchers, please contact us by e-mailing Professor Hwu. We would be delighted to hear from you. Please check out the graduate study policies of the departments to which our students belong: for Electrical Engineering students for Computer Science students. Craig Zilles, a faculty member in Computer Science here at the University of Illinois, has thoughtfully prepared a helpful page of advice for graduate students. Please take the time to check this out — we post it here in the hope that it will help you start your graduate pilgrimage on the right foot.